Home > Blogs > Mud Glorious Mud! What is it & what are the signs? 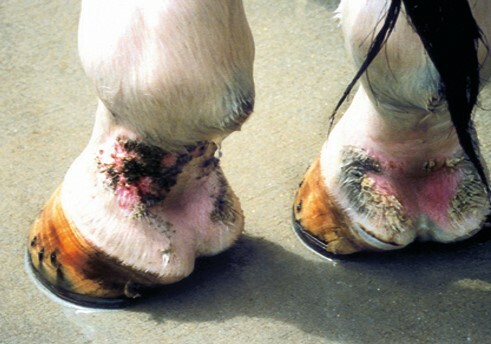 Mud fever is a bacterial skin infection affecting the lower legs caused by the bacteria Dermatophilus congolensis. The bacteria is unable to enter normal skin, however if skin is weakened through prolonged wetting, or damaged by a cut, rub, or trauma then the bacteria can enter and multiply starting an infection. White skin tends to be more sensitive, so is easier for the bacteria to get in. Mud fever is usually easily recognised as hair becomes matted and contains oozing, crusty yellowy scabs, which when removed have moist lesions underneath. There may also be a thick, creamy, white or yellow discharge. Mud fever causes an acute inflammatory reaction, so the skin will be reddened and warm. Mud fever affects just the lower limbs. Rain scald is caused by the same bacteria and the symptoms are very similar, however the back and flanks are affected rather than the legs. How do we prevent & treat it? Mud fever bacteria live under the scabs, as they need warm, moist conditions to breed. This means that to treat mud fever we need to start by removing the scabs. This is best done using a product containing chlorhexidine (which will kill the bacteria) and diluting it in warm water. It is crucial to use warm water as this will help soften the scabs making them easier to gently remove. Mud fever bacteria can’t survive in clean, dry conditions, so with cleaning and a few days out of the wet the condition should quickly clear up. The key to preventing mud fever is to prevent prolonged mud contact, minimise skin trauma and maintain healthy skin & a healthy immune system. Also keeping your horse clean and dry and treating any cuts and grazes as soon as they occur. Barrier creams are a really useful traditional way of protecting skin from mud, the most effective ones also have antibacterial and moisturising properties to inhibit bacteria and keep skin supple and in great condition. The next generation of protection from mud are barrier sprays. They act in the same way as creams, but are easier to apply and less messy. Barrier sprays prevent mud sticking to the coat allowing quick removal by simple brushing. 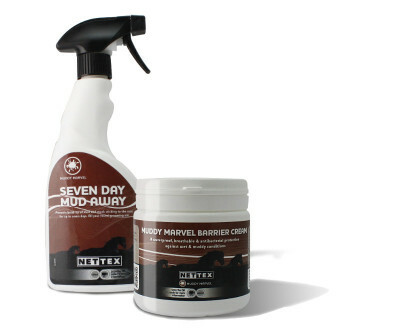 Try our two Mud Fever products from the Nettex collection today! Available to BUY ONLINE (click here) or at your nearest equestrian retailer! The next generation of protection from mud are barrier sprays. We need to care of our animals that we have adopted them in the like of our passion. Only for this tension no even anyone www.edubirdie.com have animals to be care of them is really critical matter for them. successful life of young generation. 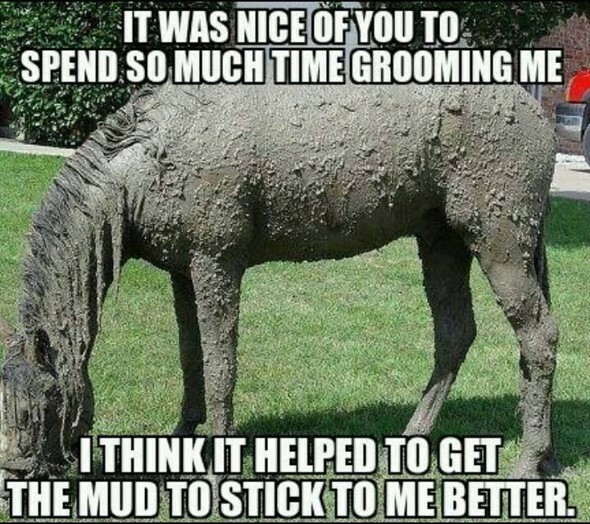 I actually tried your product with my horse and it immediately treated whatever my horse was going through. Thanks to your product. Very effective! That's all I can say!